Aspen Baking Company is a privately owned wholesale bakery business headquartered in Colorado, USA. The bakery offers a variety of artisan breads and pastries. 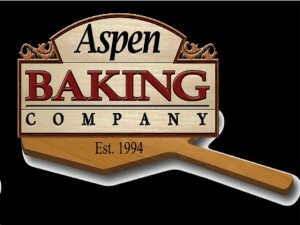 Aspen Baking Company was founded in 1994. The company specializes in offering a “distinct plate presence” to all of its customers. Part of the company’s goals in producing its baked goods is to help its customers increase their sales and improve customer loyalty. Aspen Baking Company offers a wide range of baked products classified into three categories: artisan breads, desserts and pastries, and variety breads. Artisan breads, hoagies and rolls are created by using all-natural flours and making use of slow-proofing, hearth-style baking. This process results to distinctively good artisan breads. For desserts and pastries, the company offers croissants, Danish, as well as coffee cakes, muffins, brownies, scones and cookies. Aspen Baking Company also offers gourmet cakes, petit fours, individual desserts, and tortes. After more than fifteen years of being in the bakery business, the company today continues to make great quality baked goods from all-natural ingredients. It continues to use hearth-style baking in all of its products. Aspen Baking Company’s products are free from trans-fats, making it a healthy alternative when it comes to baked goods. The company still offers both traditional and custom products and is still consistent in providing customized service to its customers. Aspen Baking Company makes deliveries to its customers every Monday to Saturday. Its deliveries reach Fort Collins, Colorado Springs, and anywhere in the Metro Area of Denver. The company has teamed up with Sprouts Farmers Markets in order to produce breads sold under private labels. Sprouts Farmers Markets sells both private label breads and artisan breads under the Aspen Baking Company’s own brand. Some of the products created by the company for Sprouts Farmers Markets include Ciabatta, Sourdough Baguette, Demi Baguette, Challah, Jewish Rye and Ciabatta Rolls. Aspen Baking Company has also teamed up with Restaurant Depot in order to supply the restaurant with sandwich breads, breakfast pastries and buns. Some of the products created by the company for Restaurant Depot are Sourdough breads, multigrain breads, white marble rye and wheat Pullmans. WE have loved aspen farms bread, we buy it at Costco, except the last time we purchased it Costco, the last week in April 3013,we noticed a different texture and flavor, it seems more course and the good whole wheat flavor was completely missing. I hope to try your bread again in the future..but if the quality hasn’t changed back I doubt I will purchase it again.